on your site which is prohibited, then they will never accept your application. 5. Any Other Illegal Stuff. Can I Apply For AdSense When I Monetize With Other Ads Company? No, even if you do, you will have to remove all other advertisements from your sites before you apply for Google AdSense, else it will lead the Rejection of your application, Don’t Worry, When Google approves your application, you can still use them, so long as they are not Pop Up or Pop Under media Format. Is There Any Compulsory Page(s) I Will Have To Create Before My Application? Adding a professional Contact Us page on your blog makes Google believe that you care about your visitors and want to help them. You should also include your email address in the contact us page. The email should be same with the one you are going to use for AdSense application. Any Customized email (e.g. admin@blognigeria.com) will also be great. An About Us page is very importance even if you don’t want to apply for AdSense. But when it comes to AdSense, there are about zero chance of getting approved if you don’t have this page. It should contain the name, office address and email you will use to apply for Google AdSense Account. Other pages that you might consider including are Disclaimer and Sitemap page. What Kind Of Contents Do AdSense Accept? If your content is not among the above mentioned prohibited content, then you don't have much problem. Beware, the first requirement for Google AdSense is a quality content. It should be Unique and original, Informative and comprehensive, And Have no grammatical mistakes. Remember We Learnt how to write Good Quality Articles for your blog in One of Our Previous chapters. What Niche Does Google AdSense Accept Quickly? I can’t tell for sure, but it is worthy of note that Google AdSense team mentioned in one of their forum posts that they stopped accepting niches that are already saturated , Example; making money, marketing, website and SEO stuff, etc. If you have already written articles on these niche that AdSense doesn't support, you can either start trying out other Media ads Network or Change your blogging niche. What Minimum Number of Posts Must I Have Before Applying For AdSense? There is no answer to this question because AdSense itself has not stated this on their policies or anywhere else. But from experience, having a good number of high-quality posts is needed, If your site have few posts, then it might not be easy for you to get into AdSense, though this does not always hold. Some bloggers get AdSense approval with just 5 post of about 200 words, while others blogs with 50 posts still receive Disapproval email. For me, I would recommend you to have at least 25 high-quality blog posts. What Is The Minimum Traffic Requirement For A Successful AdSense Application? None, don’t worry about traffic when applying for Google AdSense, the Traffic generated by your quality posts will be enough for Google to approve your site, except you have not made your post SEO friendly. How Old Should My Blog Be Before I Apply For Google AdSense? Site’s age is a very important AdSense account approval factor. 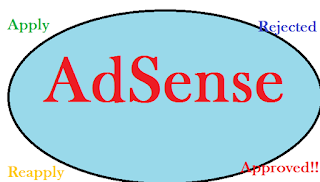 AdSense want sites which are at least six months old especially sites from third world countries, Google Stated this their self. Though I have seen 2 months old blog that gets Google AdSense approval while a 2 years old blog still struggling to get AdSense First Approval. For some Asian countries like India, China, AdSense has placed domain age restrictions. They don’t accept any sites which are less than 6 months old. What Are the On-page Requirement for Google AdSense Application? Google has clearly stated that your site should have a clear navigation menu so that your readers can easily find the pages and information they are looking for. It is highly recommended that you make your site responsive, For example, 90% of blog visitors in USA uses their cell phone to surf the net while they are far from their Laptops. In general, your Blog should be simple and look professional, Easy to navigate, Have Proper menus, have No useless items in sidebar or footer, Be Search engine friendly, and load fast. What Is The Age Requirement For AdSense Application? Before you apply for Google AdSense, Make Sure you’re 18+, new bloggers make this mistake, they write incorrect age and get into trouble. You Should Use your correct date of birth when applying for Google AdSense account. What Domain Extension Is Suitable For AdSense? You must have your own custom domain. Google don't accept subdomains (Except .blogspot.com). A Domain Name will cost anywhere from $10-$15/year. The best domain is the one with .com extension. Choose a short, unique and easy to remember domain that is related to your blog niche. We Have Already Taught You How To Choose The Best Domain Name For Your Blog in Our Previous Lectures. What Are The Supported Languages For AdSense Application? This is not always a problem because most blogs are written in English language, especially here in Nigeria, and Google supports English. However, It is worthy of note that Google does not accept all languages, most especially blogs written in Local languages. Why Do I Always Get Disapproval Email From Google AdSense? 1. Insufficient content / Low Quality content. 5. Getting Traffic from Illegal or Paid Sources. The Good News Is That Google will always tell you why your account was disapproved, so it’s left for you to Seat back and rectify your mistakes before reapplying. What Should I Do If Google Disapproves My Application? This is Normal, Do you know that at present, AdSense is rejecting 96% application? It means 4 out of 100 are getting approved, and you were not one from the 4. First, You Should Consider correcting the mistakes which AdSense will point out to you in the rejection email, then you reapply again. Even big blogs like Shoutmeloud applied for AdSense about 8 times before getting AdSense approval, so don't be discouraged. Secondly, There are thousands of other advertising networks on the internet, although they don’t pay as much as AdSense, you can also make something reasonable (if not better) with them, don't worry, in chapter twenty three I will unveil to you Some Popular AdSense Alternatives. How Can I Apply For Google AdSense? If You Choose Blogger As your Blogging Platform, Then You can easily apply for Google AdSense from your Admin Dashboard, Just Navigate to The "Monetize Section" to do that. However, if you are using Any Other Platform, First Create a new Email Address, or make sure your old email address has not been used for AdSense application before. Then Visit www.google.com/adsense/start to Apply. Enter Your Website Name and Click On Submit. That’s it.